This review has actually been very interesting for me. not because of the product though because of the small world we live in. 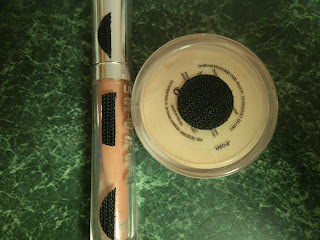 As I usually do I pay attention to the products my friends talk about or use. I noticed a long time but pretty much long lost friend talking about a product called the Beauty Butler on Facebook. After researching it a bit myself I knew I had to check it out! "The Beauty Butler™ is a patent pending makeup manager designed to help anyone that uses makeup." 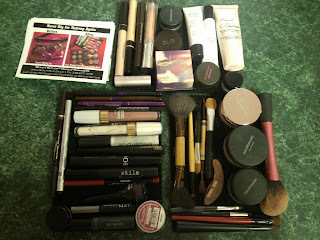 It can organize most cosmetics of various shapes and sizes in seconds. Created by Danielle Smith who was sick of digging through her purse and makeup bag, she is now "making the world a better place one makeup bag at a time". Once it arrived, I was initially disappointed to see it was so simple - a few boards with Velcro and a bag. I underestimated this for sure in my quick judgement Being that I'm not a girly girl I'm sure this is why I was almost confused as to its real potential. Again not being the girlie one in my family and one that very rarely wears a lot of makeup (let alone owns a ton), my first thought was to help Alana get a bit more organized. 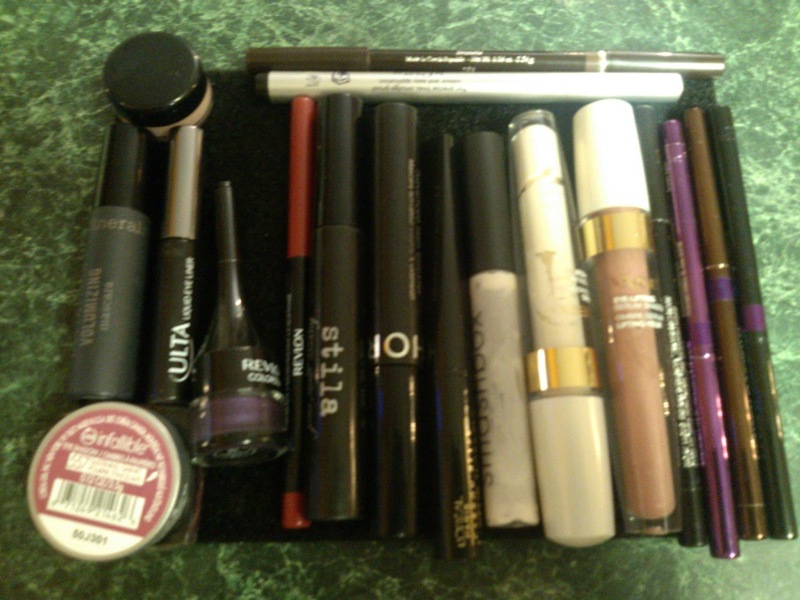 However, even though she is a teen girl and very unorganized she only has enough makeup to really fill one board. She did enjoy using this to transport her makeup to and from her room and bathroom or even to her best friends house. The true test though was giving it to my mother who has an entire setup and system of doing makeup each morning before she does anything else. We sent it on over and she immediately set her cosmetics up in stages according to how she puts her makeup on each day. She cut each piece of Velcro as suggested for the smaller items and used two for the larger ones. The only issue she came across was the few jars that had an indent in the bottom where she had to almost stick Velcro on the edges which unfortunately did not work out very well each time it was being removed from the board. Otherwise she said she absolutely loved this as she usually uses a box and dumps in on the bed in the morning to do her make up while watching the morning news. My father as well was pretty happy since he no longer has to worry about rolling around in a bed filled with makeup anymore! Recommendation: I think this is a great tool and it doesn't even have to be used for makeup. 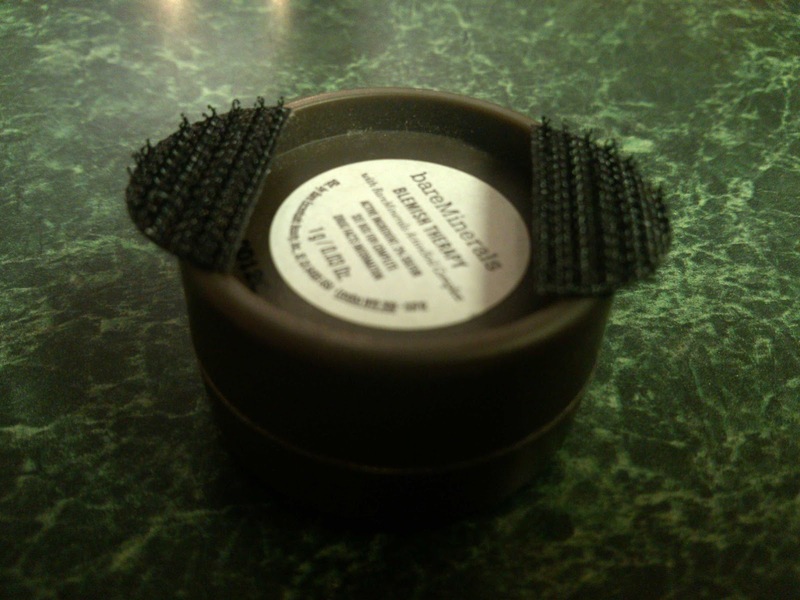 It can be used for things such as tools, toys, hobby items (like crochet hooks), etc. I really don't think $25 is too extreme especially when the that is the most you would pay for the largest package. If it organizes me in anyway I am all for it!! Giveaway: Beauty Butler is going to give one of A Lucky Ladybug's lucky readers a Diva 3 Pack of their own! 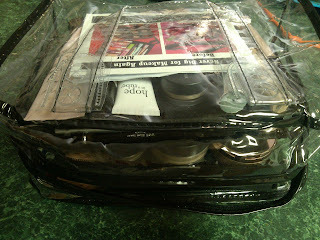 Diva 3 Pack - 3 trays (6"x 8") with Clear Vinyl Makeup Bag to use for my lipglosses, mascara, and eye pencils! The Flirt - 1 Tray (4"x 6") with Clear Vinyl Makeup Bag would probably fit my makeup use best! I would love to use the Diva 3 Pack to get organized. The Diva would probably work well for me. I don't use a lot of makeup, but it's mineral makeup that has a tendency to make a mess! The Diva 3 pack with the clear vinyl bag would be great. I usually go to the gym before work, so I put on my makeup there. This would be a great way of simplifying all I take with me. 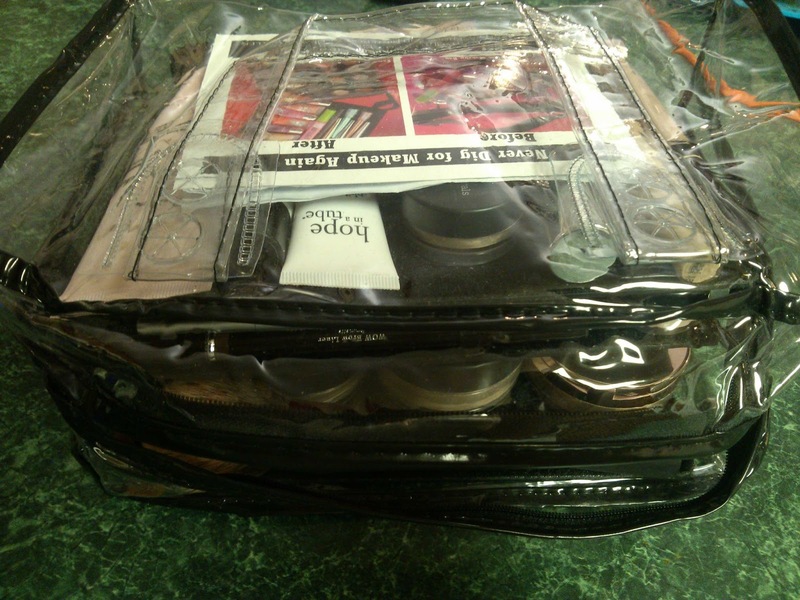 I like their Diva 3 pack with 3 trays. I loke the 3 pack with the bag, we have tonsof make up.